Mubychem Group, established in 1976, is the pioneer manufacturer of Calcium Phosphate, Pharmaceutical, Fragrance & Flavor chemicals in India. Mubychem Group has several manufacturing facilities spread across Gujarat and Mumbai India and world wide contacts and toll manufacturers. We are exporting globally to countries like USA, Europe, UAE, South Africa, Tanzania, Kenya, Egypt, Nigeria, Uganda, Turkey, Mexico, Brazil, Chile, Argentina, Dubai, Indonesia etc. Dibasic Calcium Phosphate 98.0 per cent to 105.0 per cent. Practically insoluble in cold water and in alcohol. It dissolves in dilute hydrochloric acid and in dilute nitric acid. A. Dissolve 0.1 g in a mixture of 5 ml of dilute nitric acid and 5 ml of water. The solution gives reaction of phosphates. B. 5 mg gives reaction of calcium. Dissolve 2.5 g in 20 ml of dilute hydrochloric acid, filter if necessary and add dilute ammonia until a precipitate is formed. Add just sufficient dilute hydrochloric acid to dissolve the precipitate and dilute to 50 ml with distilled water. Shake 0.5 g with 5 ml of carbon dioxide-free water and add 1 ml of hydrochloric acid. No effervescence is produced. Dissolve 0.5 g in a mixture of 1 ml of nitric acid and 10 ml of water and dilute to 50 ml with water. 15 ml of the solution complies with the limit test for chlorides. To 10 ml of solution S add 0.5 ml of dilute sulphuric acid. After 15 min, any opalescence in the solution is not more intense than that in a mixture of 10 ml of solution S and 0.5 ml of distilled water. 1 ml of 0.1 M sodium edetate is equivalent to 17.21 mg of CaHPO4,2H2O. Phosphoric acid, calcium salt (1:1). Dibasic Calcium Phosphate is anhydrous or contains two molecules of water of hydration. It contains not less than 98.0 percent and not more than 105.0 percent of anhydrous dibasic calcium phosphate (CaHPO4) or of dibasic calcium phosphate dihydrate (CaHPO4·2H2O). Labeling— Label it to indicate whether it is anhydrous or the dihydrate. A: Dissolve about 100 mg by warming with a mixture of 5 mL of 3 N hydrochloric acid and 5 mL of water, add 2.5 mL of 6 N ammonium hydroxide drop wise, with shaking, and then add 5 mL of ammonium oxalate TS: a white precipitate is formed. B: To 10 mL of a warm solution (1 in 100) in a slight excess of nitric acid add 10 mL of ammonium molybdate TS: a yellow precipitate of ammonium phosphomolybdate is formed. Loss on ignition— Ignite it at 800 to 825 to constant weight: anhydrous Dibasic Calcium Phosphate loses between 6.6% and 8.5% of its weight, and the dihydrate form of Dibasic Calcium Phosphate loses between 24.5% and 26.5% of its weight. Carbonate— Mix 1.0 g with 5 mL of water, and add 2 mL of hydrochloric acid: no effervescence occurs. Chloride— To 0.30 g add 10 mL of water and 2 mL of nitric acid, and warm gently, if necessary, until no more dissolves. Dilute to 25 mL, filter, if necessary, and add 1 mL of silver nitrate. TS: the turbidity does not exceed that produced by 1.0 mL of 0.020 N hydrochloric acid (0.25%). Sulfate— Dissolve 1.0 g in the smallest possible amount of 3 N hydrochloric acid, dilute with water to 100 mL, and filter, if necessary. To 20 mL of the filtrate add 1 mL of barium chloride. TS: the turbidity does not exceed that produced by 1.0 mL of 0.020 N sulfuric acid (0.5%). Arsenic—The limit is 3 µg per g.
Barium— Heat 0.50 g with 10 mL of water, and add hydrochloric acid drop wise, stirring after each addition, until no more dissolves. Filter, and to the filtrate add 2 mL of potassium sulfate TS: no turbidity is produced within 10 minutes. Heavy metals—: the limit is 0.003%. Limit of acid-insoluble substances— not more than 0.2% of acid-insoluble substances is found. Limit of fluoride— [NOTE—Prepare and store all solutions in plastic containers. ]: the limit is 0.005%. Calcium Phosphate, Dibasic, occurs as a white powder. It is anhydrous or contains two molecules of water of hydration. It is stable in air. It is insoluble in alcohol, is practically insoluble in water, but is readily soluble in dilute hydrochloric and nitric acids. Function: Leavening agent; dough conditioner; nutrient; yeast food. A. Dissolve about 100 mg of sample by warming it with a mixture of 5 mL of 2.7 N hydrochloric acid and 5 mL of water. Add 2.5 mL of 6 N ammonium hydroxide, drop-wise, with shaking, and then add 5 mL of ammonium oxalate TS. A white precipitate forms. B. Add 10 mL of ammonium molybdate TS to 10 mL of a warm 1:100 aqueous solution in a slight excess of nitric acid. A yellow precipitate of ammonium phosphomolybdate forms. Assay Anhydrous or Dihydrate: Not less than 97.0% and not more than 105.0% Dibasic Calcium Phosphate. Loss on Ignition Anhydrous: Between 7.0% and 8.5%; Dihydrate: Between 24.5% and 26.5%. Calcium phosphate consists of a mixture of calcium phosphates. It contains not less than 35.0 per cent and not more than the equivalent of 40.0 per cent of Ca (Ar 40.08). A white or almost white powder, practically insoluble in water. It dissolves in dilute hydrochloric acid and in dilute nitric acid. A. Dissolve 0.1 g in 5 ml of a 25 per cent V/V solution of nitric acid R. The solution gives reaction (b) of phosphates (2.3.1). B. It gives reaction (b) of calcium (2.3.1). Filter before adding potassium ferrocyanide solution R.
Dissolve 2.50 g in 20 ml of dilute hydrochloric acid. If the solution is not clear, filter it. Add dilute ammonia drop-wise until a precipitate is formed. Dissolve the precipitate by adding dilute hydrochloric acid and dilute to 50 ml with distilled water. Dissolve 0.22 g in a mixture of 1 ml of nitric acid and 10 ml of water and dilute to 100 ml with water. 15 ml of the solution complies with the limit test for chlorides (0.15 per cent). Not more than 75 ppm of F, determined potentiometrically (2.2.36, Method I) using a fluoride-selective indicator electrode and a silver-silver chloride reference electrode. Dilute 1 ml of solution S to 25 ml with distilled water 15 ml of the solution complies with the limit test for sulphates (0.5 per cent). 5 ml of solution S complies with limit test A for arsenic (4 ppm). Dilute 0.5 ml of solution S to 10 ml with water R. The solution complies with the limit test for iron (400 ppm). Dilute 13 ml of solution S to 20 ml with water. 12 ml of the solution complies with limit test A for heavy metals (30 ppm). Dissolve 5.0 g in a mixture of 10 ml of hydrochloric acid and 30 ml of water. Filter, wash the residue with water and dry to constant mass at 100°C to 105 °C. The residue weighs not more than 10 mg (0.2 per cent). Calcium hydroxide phosphate (Ca5(OH)(PO4)3) [12167-74-7]. Tribasic Calcium Phosphate consists of a variable mixture of calcium phosphates having the approximate composition 10CaO·3P2O5·H2O. It contains not less than 34.0 percent and not more than 40.0 percent of calcium (Ca). A: To a warm solution in a slight excess of nitric acid add ammonium molybdate TS: a yellow precipitate is formed. B: It responds to the flame test for Calcium. Loss on ignition— Ignite it at 800 for 30 minutes: it loses not more than 8.0% of its weight. Water-soluble substances— Digest 2 g with 100 mL of water on a steam bath for 30 minutes, cool, add sufficient water to restore the original volume, stir well, and filter. Evaporate 50 mL of the filtrate in a tarred porcelain dish on a steam bath to dryness, and dry the residue at 120 to constant weight: the weight of the residue does not exceed 5 mg (0.5%). 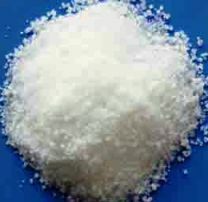 Acid-insoluble substances— If an insoluble residue remains in the test for Carbonate, boil the solution, filter, wash the residue well with hot water until the last washing is free from chloride, and ignite the residue to constant weight: the weight of the residue does not exceed 4 mg (0.2%). Carbonate— Mix 2 g with 20 mL of water, and add 3 N hydrochloric acid, drop wise, to effect solution: no effervescence is produced. Chloride— Dissolve 500 mg in 25 mL of 2 N nitric acid, and add 1 mL of silver nitrate TS: the turbidity does not exceed that produced by 1.0 mL of 0.020 N hydrochloric acid (0.14%). Sulfate— Dissolve 500 mg in the smallest possible amount of 3 N hydrochloric acid, dilute with water to 100 mL, filter, if necessary, and to 25 mL of the filtrate add 1 mL of barium chloride TS: the turbidity does not exceed that produced by 1.0 mL of 0.020 N sulfuric acid (0.8%). Arsenic — The limit is 3 ppm. Barium— Mix 500 mg with 10 mL of water, heat, add hydrochloric acid drop-wise until solution is effected, and then add 2 drops of the acid in excess. Filter, and add to the filtrate 1 mL of potassium sulfate TS: no turbidity appears within 15 minutes. Dibasic salt and calcium oxide— Weigh accurately about 1.5 g, and dissolve by warming with 25.0 mL of 1 N hydrochloric acid VS. Cool, and slowly titrate the excess of 1 N hydrochloric acid, while agitating constantly, with 0.1 N sodium hydroxide VS to a pH of 4.0, determined potentiometrically. Not less than 13.0 mL and not more than 14.3 mL of 1 N hydrochloric acid is consumed for each g of salt, calculated on the ignited basis. Limit of fluoride— [NOTE—Prepare and store all solutions in plastic containers. ]: The limit is 0.0075%. Limit of nitrate— Mix 200 mg with 5 mL of water, and add just sufficient hydrochloric acid to effect solution. Dilute with water to 10 mL, add 0.20 mL of indigo carmine TS, then add, with stirring, 10 mL of sulfuric acid: the blue color persists for not less than 5 minutes. 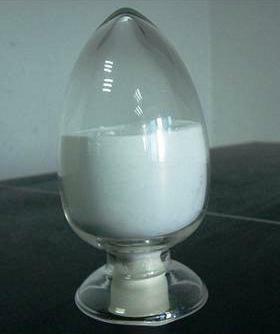 Calcium Phosphate, Tribasic, occurs as a white powder that is stable in air. It consists of a variable mixture of calcium phosphates. It is insoluble in alcohol and almost insoluble in water, but it dissolves readily in dilute hydrochloric and nitric acids. Function: Ant caking agent; buffer; nutrient; clouding agent. A. Add ammonium molybdate TS to a warm solution of sample in a slight excess of nitric acid. A yellow precipitate forms. B. Dissolve about 100 mg of sample by warming it with 5 mL of 2.7 N hydrochloric acid and 5 mL of water; while shaking, add 1 mL of 6 N ammonium hydroxide, drop-wise and then add 5 mL of ammonium oxalate TS. A white precipitate forms. Assay: Not less than 34.0% and not more than 40.0% of calcium (Ca). Fluoride: Not more than 0.0075%. Calcium Phosphate, Monobasic, occurs as white crystals or granules or as a granular powder. It is anhydrous or contains one molecule of water of hydration, but because of its deliquescent nature, more than the calculated amount of water may be present. It is sparingly soluble in water and is insoluble in alcohol. Function: Buffer; dough conditioner; firming agent; leavening agent; nutrient; yeast food; sequestrant. Labeling: Indicate the state of hydration. A. Dissolve 100 mg of sample by warming it in a mixture of 2 mL of 2.7 N hydrochloric acid and 8 mL of water. Add 5 mL of ammonium oxalate TS. A white precipitate forms. B. Add ammonium molybdate TS to a warm solution of sample in a slight excess of nitric acid. A yellow precipitate of ammonium phosphomolybdate forms. Assay: Anhydrous: Not less than 16.8% and not more than 18.3% of Ca; Monohydrate: Not less than 15.9% and not more than 17.7% of Ca. Loss on Drying: Monohydrate: Not more than 1%. Loss on Ignition Anhydrous: Between 14.0% and 15.5%.